Join us for a festive evening of dinner, dancing and celebration. Chef Frank Ziegler of The French Kitchen will dazzle with a 4-star dinner menu. 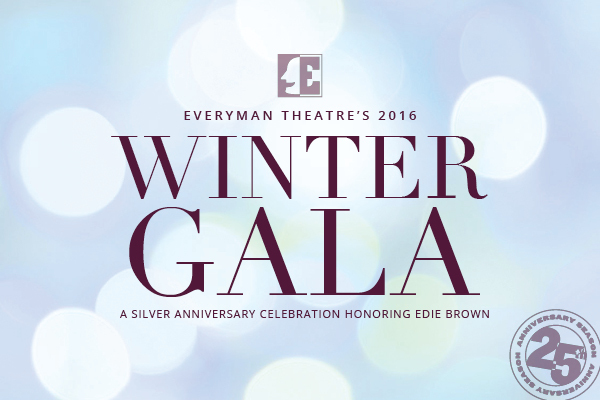 This year's Gala will celebrate Everyman's 25 years of professional theatre in Baltimore and honor the remarkable career of Baltimore's public relations maven and longtime Everyman supporter, Edie Brown.